For Seattle resident Jim Anderson, the devastation caused by Hurricane Katrina was more than a horrible news report. It was a call to action. “There’s no way you could look at that particular storm … and not be moved to either participate or contribute in some way,” Anderson said. Anderson made a donation to the Red Cross then and has continued to support the organization since. Recently, he made a substantial founding contribution toward purchasing a new emergency service vehicle. Hurricane Katrina hit the same year Anderson retired from his career as a teacher. With free time on his hands, Anderson signed up to be a Red Cross volunteer just a few months later. He’s traveled to disasters near and far. When Hurricane Ike hit the Gulf Coast in 2008, Anderson was there helping out in a San Antonio shelter that served 5,000 people. Coastal areas of Texas are devastated in the wake of Hurricane Ike. Millions have no power and basic services are non-existent in the Galveston area, with no clear time frame for when they will be restored. 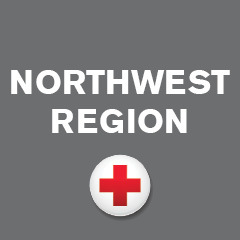 In the midst of it all, the American Red Cross is there lending a helping hand. Thousands of Red Cross staff and volunteers are in the storm-affected areas, offering those who were in Hurricane Ikes path a safe place to stay, food, toiletries and a comforting ear. Anderson and another volunteer spent five days driving an emergency response vehicle from Seattle to New York in 2012 to help victims of Hurricane Sandy. Each day and evening, they drove the vehicle two hours to and from the disaster area near Jamaica Bay and the Rockaways. “The storm had gone all the way across one side to another. It was unbelievable. I had been in the car following bulldozers and they were moving cars and boats so we could get across the bridge. It was amazing,” he said. Anderson helped provide meals, cleanup kits and water to lines of people awaiting aid. “It’s pretty apparent what they need. A warm cup of coffee. A hot meal. A sandwich. That sort of thing. We gave what we had,” he said. The toughest experience he encountered was the 2014 mudslide that hit the town of Oso, Washington. “It’s a small community and so many people were impacted. There was no place to relax. Basically, everybody was in a state of shock,” he said. While every situation is unique, the need for compassion remains unchanged. The Red Cross provides that, he said. “Everybody needs Kleenex. Everybody needs a shoulder to tell their story,” he said. Anderson said he’s met some wonderful people through volunteering and they still keep in touch. He has a teddy bear decorated with lapel pins he’s received for his contributions and collected from other volunteers. One of the pins he picked up in Spain in 2016 when he happened across a Red Cross chapter while walking 500 miles of the El Camino. Anderson said he’s been aware of the Red Cross since he was a kid, when the organization used to hold fundraisers at his school. “It just seemed whenever there was an emergency, the Red Cross was prominent in being a presence and able to help immediately,” he said. Red Cross wouldn’t be the same without volunteers and donors like Anderson. “It’s even more inspirational to have volunteers who become donors and donors who become volunteers because that just goes to show the love they have for the mission and the investment they’re making in the Red Cross,” she said.